Teton was the lucky recipient of a bag of Wellness WellBites from Chewy.com recently. Our friends at Chewy.com have been good to us! This is the second treat in a row that I’ve always wanted to try for Teton but haven’t pulled the trigger on. Wellness has a stellar reputation for making high quality dog and cat food that is free of allergens like wheat and corn, nasty meat by-products, and other artificial ingredients that are void of nutritional properties. I’ve given The Little Blogger Wellness canned food before (their line of “Stews” is incredible) as a mix-in with his dry food, but we hadn’t tried Wellness treats until now. Wellness WellBites are soft and chewy treats that come in a variety of flavors including Beef & Turkey, Chicken & Lamb, and Turkey & Duck, to name a few. Teton doesn’t eat a lot of duck, so we opted for the Turkey and Duck recipe as a fun change! 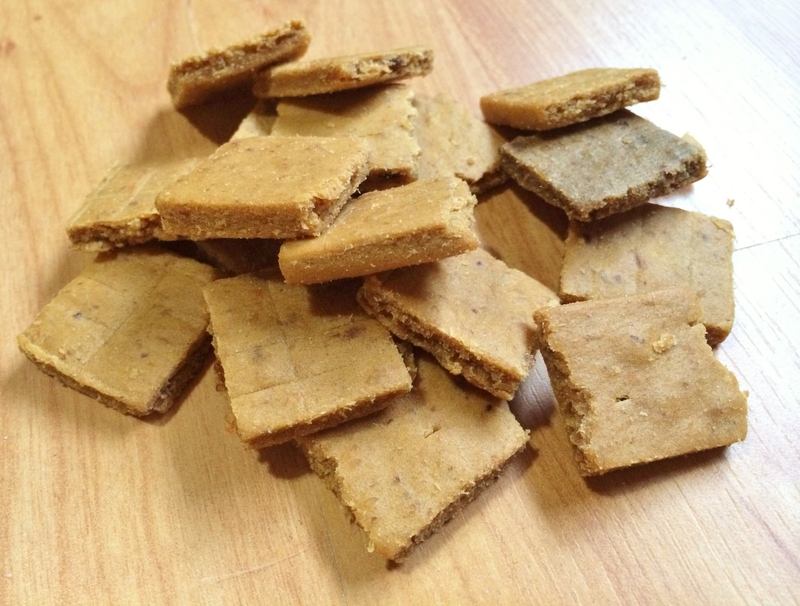 I know these treats are made of good quality ingredients because when you open the bag the scent of meat and spices fills the air…which both you and your dog will likely smell rather quickly. Uh…those smell pretty good, Ma. How about you give me one? 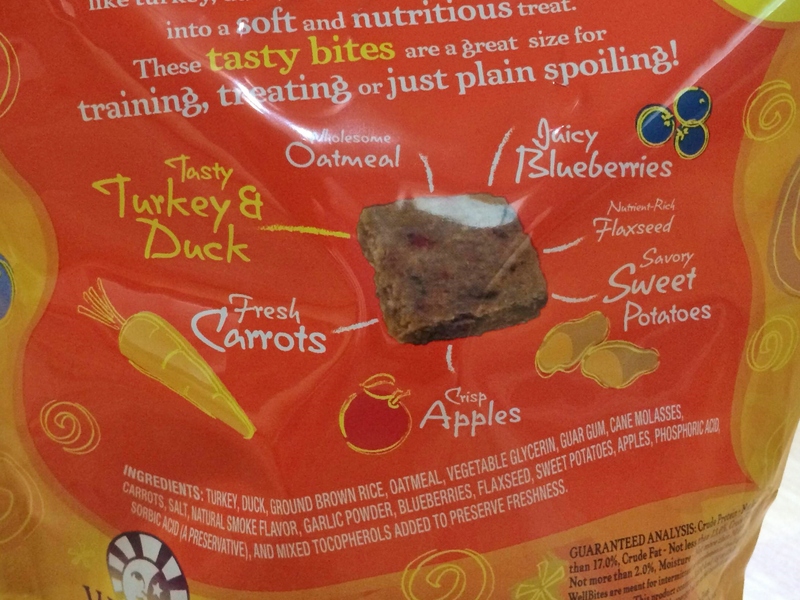 What, specifically, is in the Wellness WellBites Turkey & Duck Recipe? 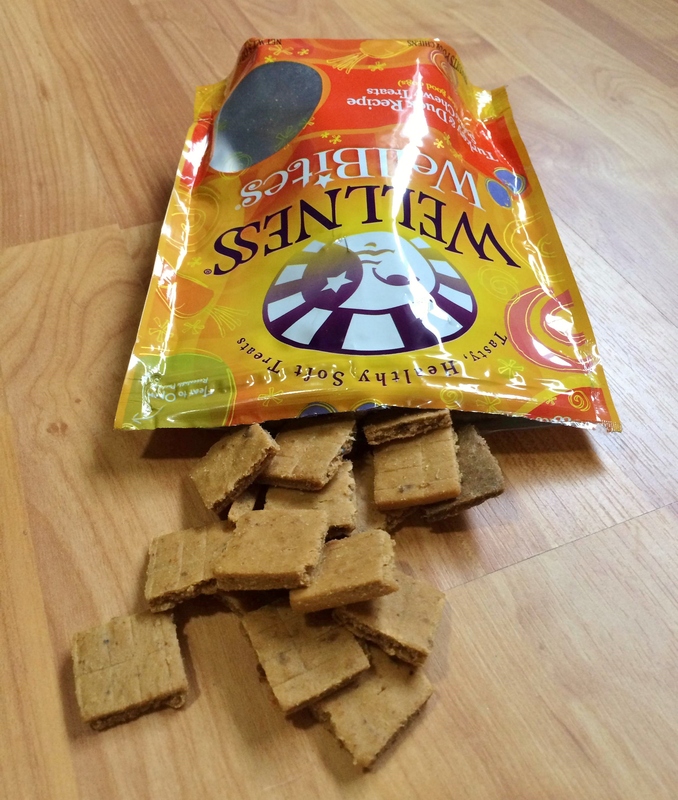 Wellness WellBites may be Teton’s newest favorite treat, along with Orijen’s line of freeze-dried treats. Something about these two treats seems to excite Teton more than the multitude of treats he’s tried in the past. When we run out of WellBites and Orijen, they’ll definitely be something I buy again! Speaking of buying, in case you’re curious, Wellness WellBites come in at $6.95 for an 8-oz bag. 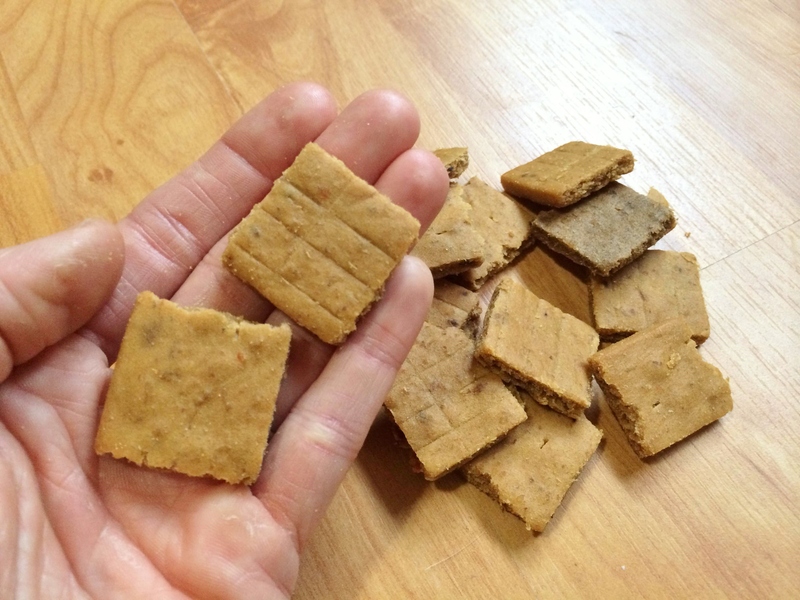 If you feed your dog a variety of treats like I do, I’d say that one bag will last you a good couple of weeks to a month, depending on how often you give your dog treats. Check out the entire Wellness line at Chewy.com here. And don’t forget about the variety of other great brands that Chewy.com carries! Posted on October 18, 2013 by Shannon	This entry was posted in Treat Jar. Bookmark the permalink. 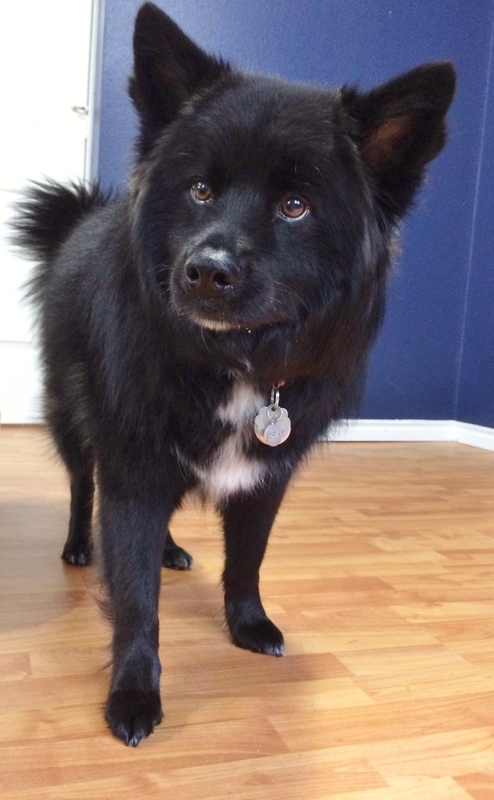 ← A Boy Named Henley P.
My dog is a big fan of Wellness WellBites. I’m glad to see Teton enjoys them as well!